The winery Quinta do Noval elaborates this 2003 Quinta do Noval Vintage ($225.99), a fortified wine from Port produced with port, tinta roriz, touriga nacional and touriga francesa from the 2003 vintage. At Uvinum, this fortified wine scores an average rate of 4 of 5 points and obtained the following scores: robert parker: 95 and wine spectator: 96. - Nose: A monumental and voluptuous wine with delicious fresh notes of black fruits. - Palate: A bouquet of a formidable full-bodied with a hint of licorice. Ripe, full and delicate. - Nose: Very high layer, intense nose, overripe fruit mineral and balsamic notes. We have purchased in Quinta do Noval. Intense colour at sight. Roasted flavours. Attracted me to their intense color. I found the 2003 a bit astringent. This Quinta do Noval Vintage Port goes well with meats. Deep ruby ​​color. Intense, mature, complex and fruity nose. The palate reminds of red berries, with a long finish. I recommend to pair it with "Pinchos" or "Tapas". I drank this 2016 with my co-workers. Deep colour at first sight. With a right roughness. - View: dark and intense red. - Nose: sweet, intense, with notes of black fruit and jam. Fantastic colour. This fortified is a bit acidic. It depends on your taste. - View: ruby ​​deep and saturated. - View: deep dark amber, very high layer and violet tear. - Nose: big and thick, with mineral notes. 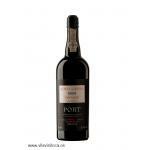 If you want to buy 2003 Quinta do Noval Vintage, at Uvinum you will find the best prices for Port fortified wine. Get it now at Uvinum, fast and 100% secure. We bring you the largest catalog of more than 59.000 products which makes us leaders in the sector of selling wine, beer, and spirits in Europe with more than 38.000 clients who trust us.